The Plumbers in Preston are fully qualified plumbers and heating engineers with years of experience in plumbing, heating and boiler repairs. Through the years we have come across numerous types of different plumbing and heating jobs that we have fixed easily. Through the years our hard work has paid off, and our Preston Plumbers have gained numerous loyal customers both residential and local businesses in the Preston area and even further a field. We can hadle any type of plumbing or heating job whether its an emergency or just general maintenance work.Our view has always been that no job is too big or too small, we always do the job properly and we never do jobs that simply don't need doing. We serve all areas of Preston including Chorley, Leyland, Preston City Centre, Garstang, Fulwood and Southport. 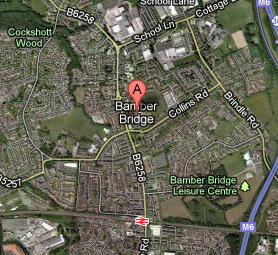 All our plumbers and heating engineers are based in and around Preston and all have a great knowledge of the area. So if you require a local plumbing job from a quality local plumber. Contact the plumbers in Preston today! Our Preston Plumbers provide central heating work to all Preston postcodes including PR0, PR1, PR2, PR3, PR4, PR5, PR6, PR7, PR8, PR9, PR11, PR25 and PR26. Remember no job is too big or too small. Call our heating engineers in Preston today. All aspects of boiler repairs, servicing and installation can be carried out. Our Plumbers, Heating Engineers and Boiler Experts can handle any boiler maintenance, boiler installation or boiler repair job both residential and commercial.